For over 40 years, Shand have been manufacturing innovative couplings for the safe transfer of fluids in the harshest of environments. With extensive quality control procedures, and non-destructive testing, the finished product Shand produces is always the very best. With a specialist factory capable of manufacturing a variety of hose fittings that allow for the safe transfer of a variety of chemicals and oil transfer in the harshest of environments, Shand has a strong brand name in the hose industry. 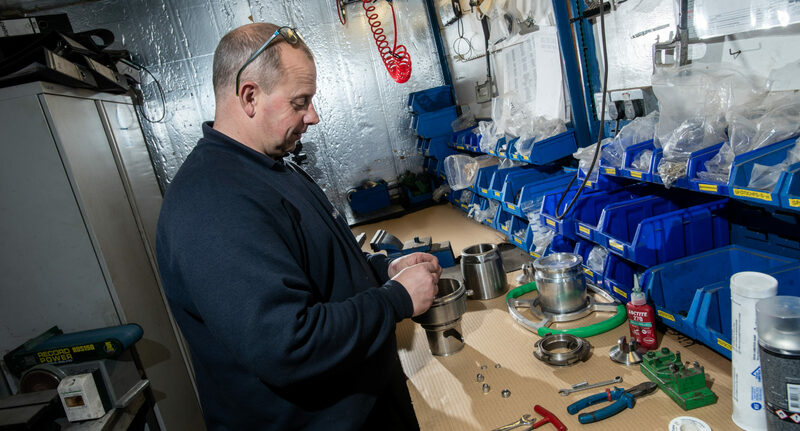 With their experience in fabrication, machining and non destructive testing, Shand also offer subcontract services to support your business. One of key benefits of Shand engineering and their roots in the oil and gas industry is their full traceability. Due to our high valued reputation within the industry, Shand are able to access competitive, high quality materials that are fully traceable. From arriving at the factory, throughout the full fabrication process and several years later in service, every piece of material is traceable.